Archbishop Christopher Prowse with St Monica’s Primary School, Evatt Assistant Principal, Luke Donnelly. 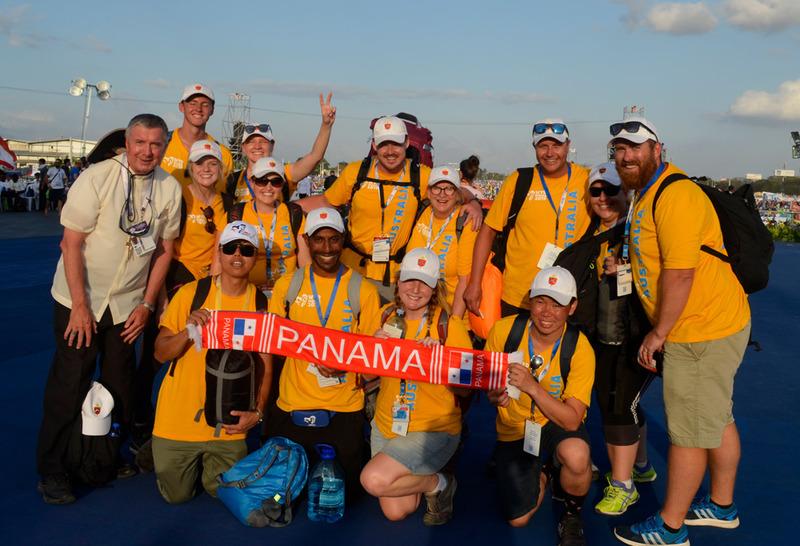 Archbishop Christopher Prowse has recently returned from the Panama World Youth Day along with the other pilgrims from this Archdiocese and described it as a revitalising experience. Even though he is something of a World Youth Day veteran (he’s been to six now) he still takes something new from each event. 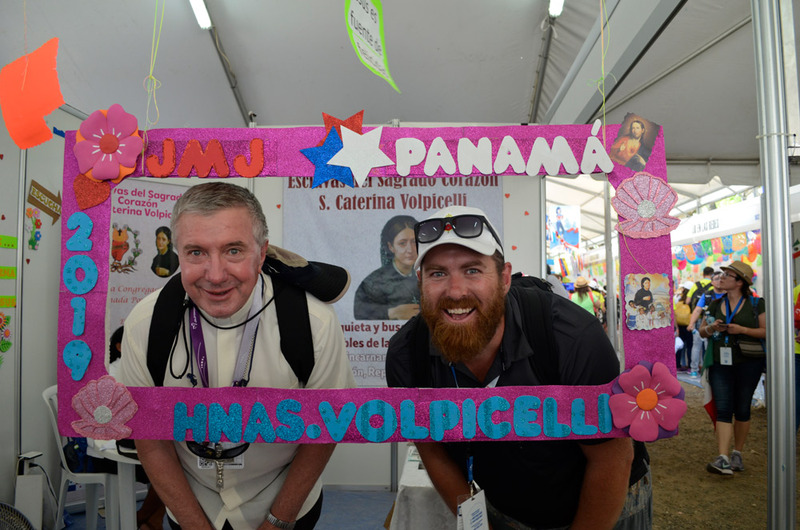 “I’m a bit of a World Youth Day junkie,” Archbishop Christopher conceded, having attended previous WYDs at Cologne, Sydney, Madrid, Rio de Janiero, Poland and now Panama. As with previous youth days, Archbishop Christopher said there were many highlights but nominated three that stood out. “First of all, World Youth Day gives youth and the wider church an experience of the Universal Church, he said. Despite all of the cultural diversity expressed across the range of World Youth Days, there are some elements that are common to them all. 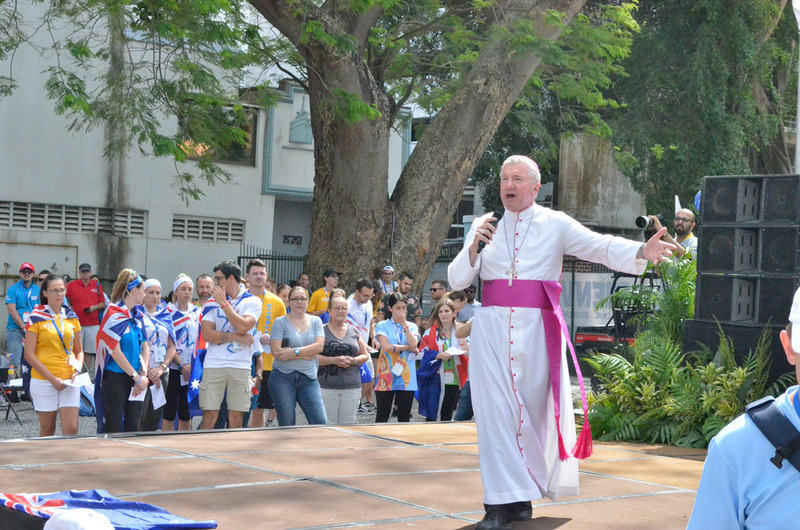 Central to each World Youth Day, the Archbishop said, is the concept of pilgrimage. “Of course, we’re there as pilgrims, not as tourists, so the idea of the pilgrimage is that you encounter Jesus deeper than you’ve ever thought or imagined, particularly alive in his Church, and it’s easy to do that because there’s such a religious feel,” he said. “In Australia, the feel here is so secular that we don’t really know what that means sometimes… sort of an academic word… but once you’re in a Catholic culture, which World Youth Day generates just by being World Youth Day, there’s a real feeling that it’s ok, that it’s quite cool to talk about Jesus, that it’s important to talk about prayer, how to deepen your prayer life, the role of saints, particularly the patron saints of World Youth Day, the role of the Church, the moral aspects and values that you bring into your future life whether it be marriage, priesthood or religious life being a single person… these are freely talked about and young people absolutely love it because they do feel constrained in Australia some times to talk about these matters because of peer pressure. “You can talk about clothes, you can talk about food, you can talk about the body beautiful but please don’t talk about religion. So at World Youth Day they’re released from all of that. Pilgrims who return from World Youth Day have experienced a heightened and enriching event, which they attempt to share and continue upon their return home, and Archbishop Christopher believes it is important that they be supported in sustaining the journey they have begun. “When people come back, they’re sometimes left on their own and people get on with life,” he said. “But that’s why I think it’s good that we have people from our schools, our teachers and leaders and future leaders, coming to World Youth Day as they’re already in a culture of debriefing and being in a community of faith. “If you just come in as a lone ranger, well you’ll have some nice memories and visuals, you’ll probably have some nice photographs and possibly bought some nice things but the religious experience of it has got to be supported when you come back. Another point made often about World Youth Day is that the Youth are the future of the Church, but the Pope, and Archbishop Christopher, make a correction to that saying. 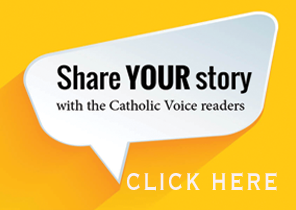 “Pope Francis said at the Final Mass that youth aren’t so much the future of the church, they are the NOW of the church,” Archbishop Christopher said. “The Pope was very keen to talk about how the contribution of the youth is something that the Church needs right now. 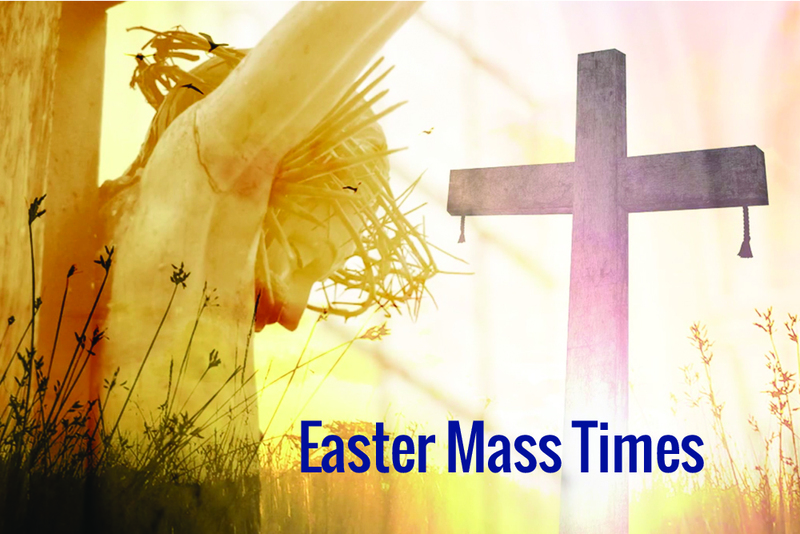 “Young people are a real spring time for the Church. It’s one of the reasons I like going to World Youth Day. It really strengthens my own personal faith. They are wonderfully positive, optimistic, they don’t seem to be dragged down too much by the issues and they’re not as bureaucratic as some of us. 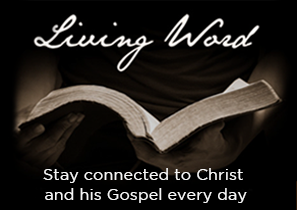 They go right to the essence of Christianity which is this living, lively relationship with Jesus Christ as the Lord and Saviour and the participation in the Church. The next World Youth Day is scheduled for Lisbon in Portugal in 2022. Archbishop Christopher has every intention of attending it as well.